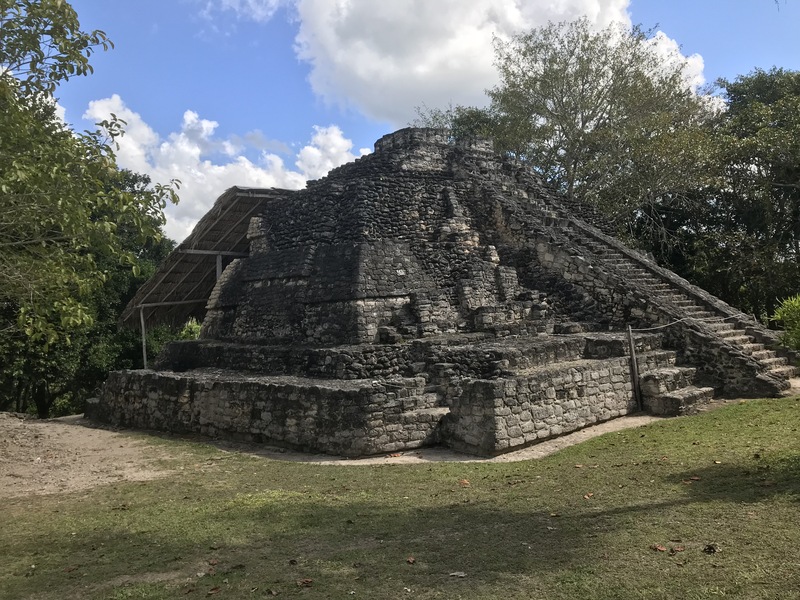 Chacchoben is a Maya site easily reached by tour groups from Costa Maya. 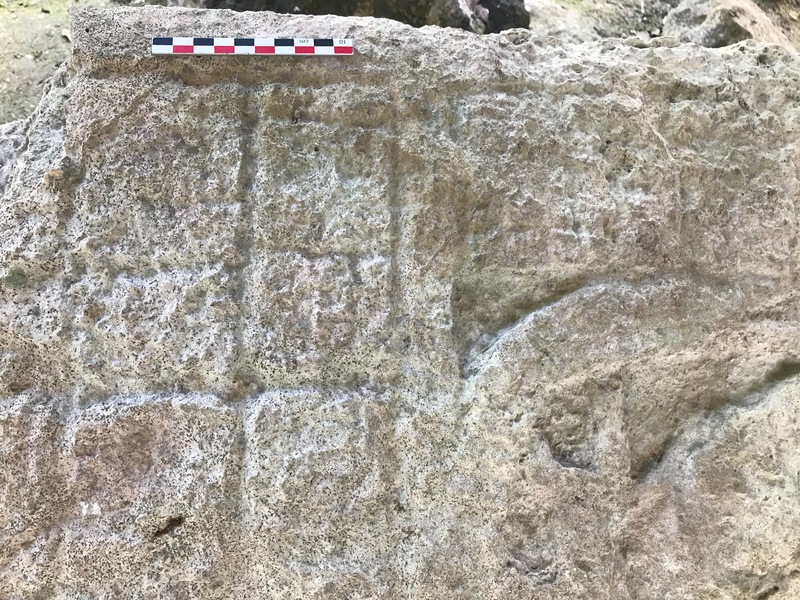 Site plan on the sign at Chacchoben. 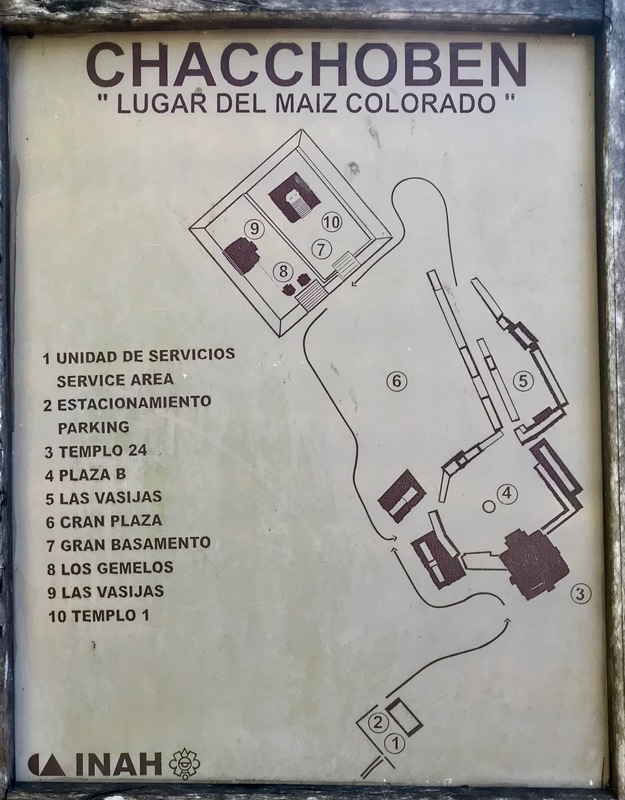 Temple called Los Vasijas (Spanish, "the vessels") on the site plan. 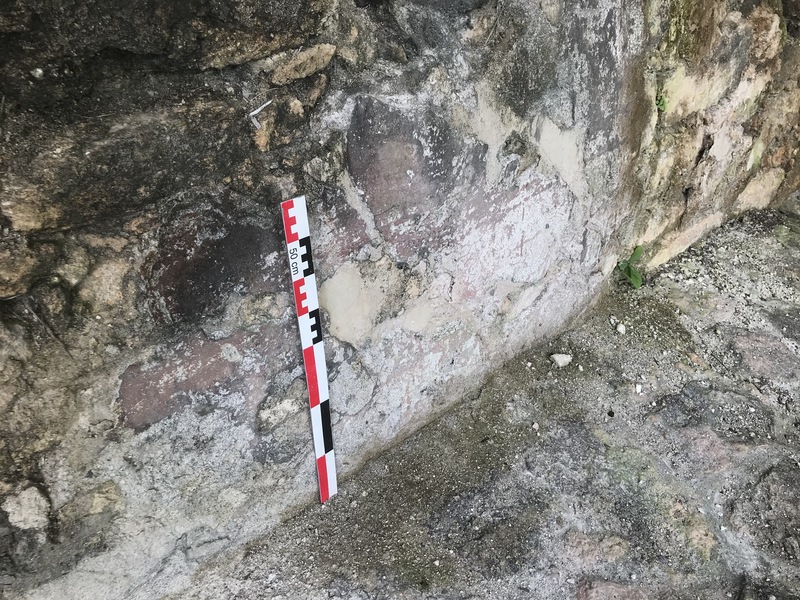 Stucco surface still retaining red pigment on the sheltered side of the the Los Vasijas temple. 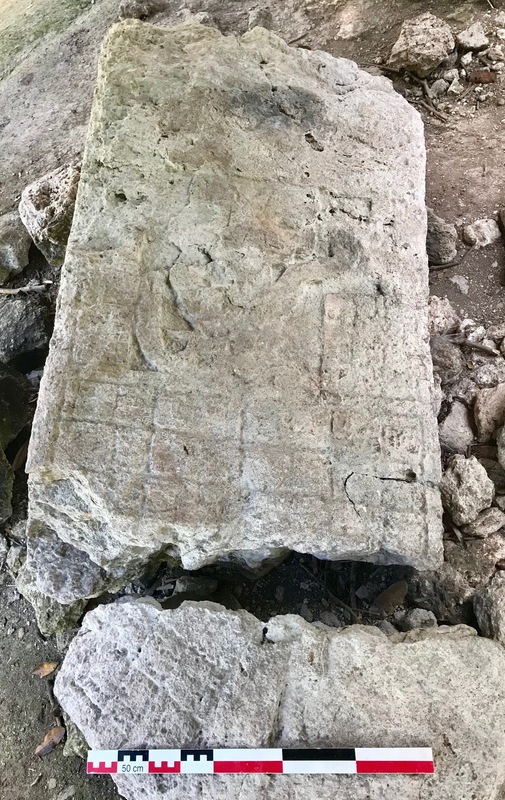 A broken stela at the site of Chacchoben. 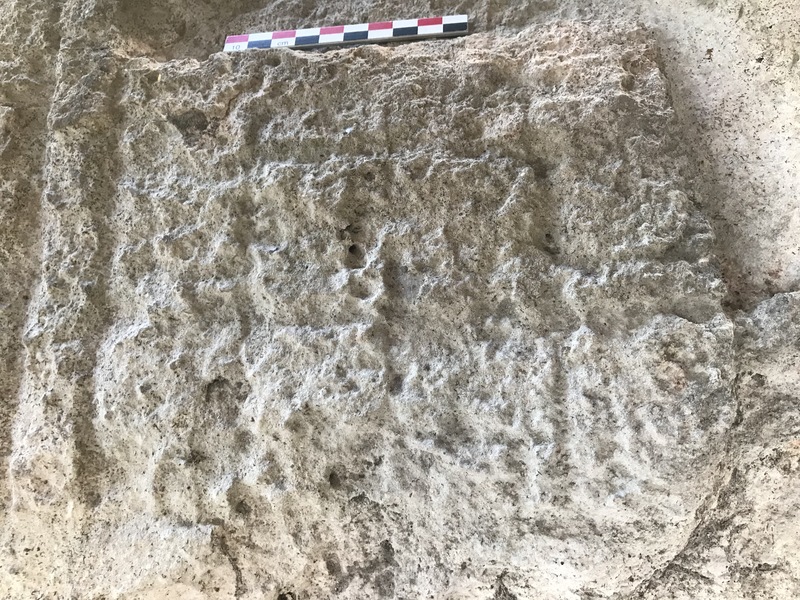 Weathered glyphs on the stela at Chacchoben. 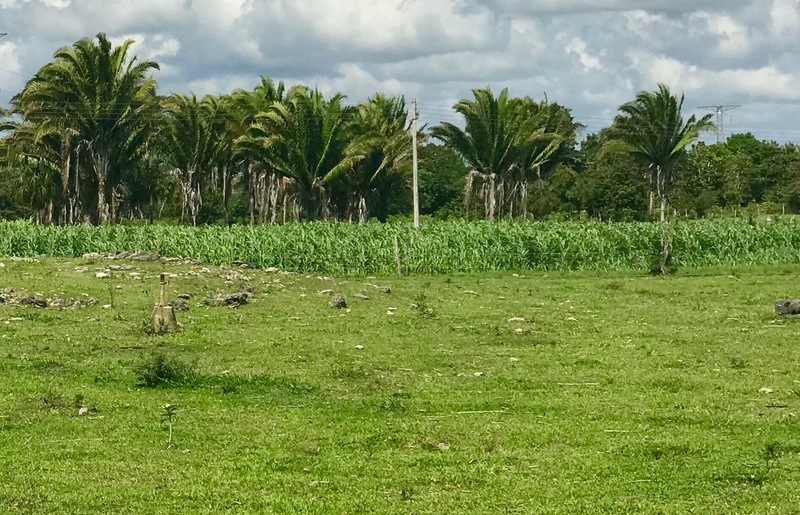 Field of red corn growing among the palm trees next to the site of Chacchoben. The site name is modern and means red corn. 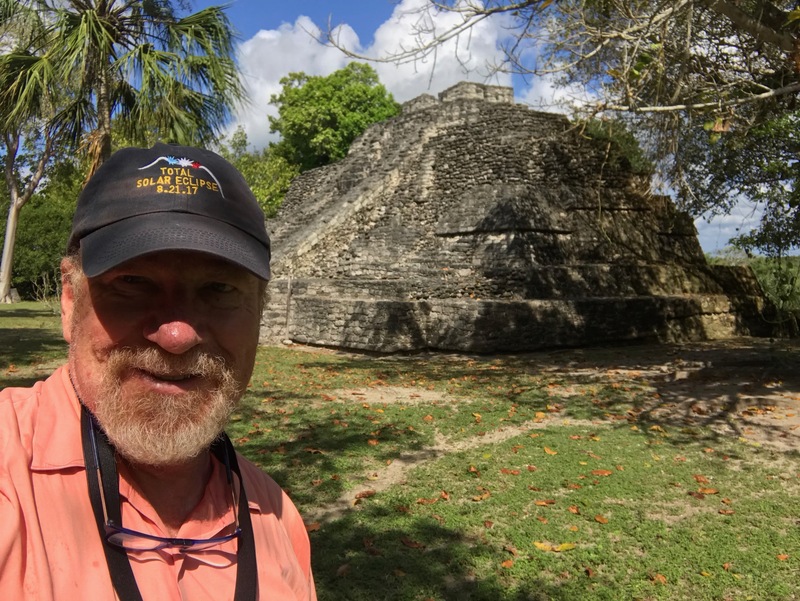 Professor Michael Fuller at Chacchoben, February 2018.